This entry was posted in ERE, Family, Savings by weenie. Bookmark the permalink. “I look back on those days now as ‘dark days’…” Like you weenie I made plenty of mistakes prior to pursuing FIRE which included starting quite late. I’ve also made plenty while I’ve been on the journey as well. If given a second chance though I wouldn’t change any of those mistakes. Today, I’m the sum of all those learnings, whether they’ve come from positive or negative experiences and I quite like what I’ve become. I also like what I can see myself becoming. No, I wouldn’t change my mistakes either as I would indeed be a different person and I’m happy with and I like what I’ve become. That I have a good set of friends and get on with my family attest to the fact that I’ve not turned out badly as a person! Wow Weenie, your mum rocks, what an inspiring role model, living the FIRE dream before we gave it a name. And I feel my retirement may be short lived, or semi-retired but I don’t really know until I get there. I might fancy working abroad. Or in a cool start up. Who knows…. I understand completely the need to rebel from your parents, I did the same but in different ways. And yes, I do think enjoying my twenties and spending money makes me more appreciative that I can save in my thirties, and I actually know what I am missing out on. I know she rocks yet, I didn’t see her as a role model because I was too busying rebelling! I very much feel that I will go down the full blown retirement first and then might consider semi-retirement. As long as I’m not going into semi-retirement because I’ve calculated my numbers wrong and desperately need the cash – that would be a real bummer! Sounds like your parents set a great example for you, but also allowed you the freedom to live your life the way you wanted. Can’t do much better than that! I’m sure they are pleased to see the influence their example has had on your thinking all these years later! I must admit that I am also jealous of your mom. I’ll be turning 47 later this year, and while I hope to be living my definition of early retirement by 50, there’s no way I’m going to beat her! All the best with early retiring by 50 – it is still classed as early and will be a massive achievement as your kids will still be school age! I don’t think there are many who retire much earlier than 50 who have young kids in tow, or any kids for that matter. That your parents were able to retire relatively early is excellent. Now that FIRE has a name and has become a thing means that we will be able to pass that knowledge onto our children much easier to guide them in their lives. Looking back my parents knew very little if anything about finance and investments, but they were very hard workers and luckily have saved enough to make their retirement quite comfortable. They didn’t retire early though and worked pretty much to state pension age. Great to read that you are setting your own children on the path to FIRE, as documented on your blog. Firstly, congratulations to your parents on such a great achievement. 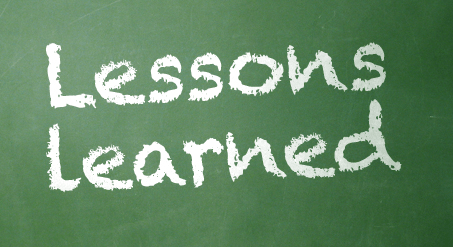 Secondly – never regret what you did – it taught you some valuable lessons and now you are a better person for it. Like you I sometimes look back and think what if. Yes I could have retired now but I wouldn’t have had the experiences I did. The plus side is you had some holidays and some memories, and now you are on another path, one that will lead to the ultimate freedom! No, no regrets – dwelling on ‘what ifs’ and ‘if onlys’ don’t achieve anything and paying down my debts and coming out the other side has taught me valuable lessons and made me the person I am. I received an email once from a reader who asked if I wished I’d come across MMM and other FIRE blogs at age 21 as I’d probably be FI by now? The answer is no, because I was a very different person at 21 (still in my 3rd year at uni!) and I would have just thought it was all a load of b*ll*cks and not even bothered to do the maths! I discovered FIRE at the right time, when my mind was open to such ideas and I was financially able to adopt the strategy. How do you think things would have turned out if you’d found out about FIRE at 21? Glad to hear no regrets! Exactly, it is what has happened to you before and how you dealt with it that makes you the person you are today – regardless of who you are! Interesting thought about what if you had found it earlier. Like you I was very different, and I honestly don’t know what I would have done. I suspect it wouldn’t have changed as I have traveled and done things that simple aren’t possible these days, so memories that will never leave me. I was always good at saving at least some so I always overpaid my mortgage from the day I got my first mortgage at 26, which has set me up to where I am now. That said, I do think I would have a much higher investment base as I do wish I had filled up my ISAs to the max from as early an age as possible (maybe the odd bottle of wine less! ), but it is what it is! My parents taught me it was rude to talk about money. Even today if I ask my old man what investments he has he says “none of your business”. Somehow we have a culture in this country where it is rude to talk about money. So my olds passed on all their non financial wisdom and advice but I had to find my own way in the world of personal finance. For you the secrets had been staring you in the face all along! My earliest memories of my parents talking about money was about the distinct lack of it! It was in my early teens that my Mum showed us statements of their investments but even though all this good wisdom was staring me in the face, I still didn’t see it until much later in life! It’s good that you did find your own way in the world of personal finance, especially as there are many in the country who leave it until they’re about to retire and then wonder what’s gone wrong . Well done to your parents. Kids (including young adults) are generally blind to much of what parents do. Lessons need to be explicit, unfortunately. The longer I do this, the more I’m leaning towards semi-retirement than FIRE. Thinking about it, my mum has been semi-retired for decades. She is 70 and still works casually at a quilting shop. She loves to quilt, and the pay funds her trips around the world. Can’t get better than that. Sounds like your mum leads a great life! There’s no need to go for full-blown retirement when semi-retirement is the better solution. Noooo! Don’t do it. You’ll find yourself with cupboards full of material and enough sewing machines to rival Bitcoin creation for power usage. Try something cheaper and more minimalistic – air guitar? Mrs. ETT recently posted…Time Tracking — I Do How Much of What?! Interesting post weenie. My parents were and are very frugal, partly because they’ve never had much money but mostly because it’s just their nature. My mum worked in a bank until she fell pregnant with my brother in 1969. She never went back to work so you could say she “retired” at 21, but I wouldn’t class raising three kids as retirement by any stretch of the imagination! As for youthful spending, I think most people ignore any lessons from their parents at that age. I spent my early 20s wasting money on cigarettes, alcohol and cars. But eventually I got a good job that paid well, started saving and that was more or less that. Cheers John and absolutely not, raising three kids is certainly not retirement by any stretch of the imagination! I think you have to have a mindset to switch from spending/wasting money to saving – I’m sure the trigger is different for everyone but funny how some people don’t seem to switch at all, if the press is anything to go by. I wouldn’t worry too much about ‘falling off the rails’, Weenie – businesses don’t spend obscene amounts of money on marketing budgets if advertising wasn’t perniciously effective. This is the Matrix, and you’ve just taken the red pill LOL! Whilst the basics of FIRE may remain constant (e.g. spend less that you earn), I suspect the techniques and the rules (e.g. taxation) change for every generation! I was going to say that each new generation tend to rebel against the values of their parents, but if that was strictly true, there should be more of a FIRE community (what better way to rebel against spend-thrift parents than by being financially independent LOL). When I discovered FIRE blogs, it was like I had just taken the blue pill and there was no turning back! I think if there is one piece of advice I would give anyone, it’s spend less than you earn. Haha yes, what a way to rebel against spend-thrift parents! How interesting that you had FIRE role models as parents without initially realising it. I think so many of us unconsciously move away from our parents and try to make our own path regardless of how close our relationships are. You just did what so many of us do – ignore what our parents are telling/showing us – only to belatedly realise they were right all along! And RIT is right, never regret, your experiences make who you are today, without them you might not have the determination to see this through. Agree, if my experiences hadn’t made me the person I am, I may not have been so open-minded to set foot on this FIRE path. Doesn’t even bear thinking about! It can be tough to swallow our mistakes even when we learn from them but if we hadn’t made them then we could keep repeating them over and over again. Ha, people were probably FIREing centuries ago, they just called it something else! I can’t say I’m proud of my mistakes but I’ll say I’m glad I made them. When the student is ready the teacher appears and all that. Your mum sounds pretty badass and sounds like she did a great job of setting an example to you. Re: FIRE years ago, that was just called being a gentleman of leisure back then wasn’t it? And usually involved inherited wealth and having servants to do all of your work etc!!! I can’t imagine many worked up from working/middle class backgrounds to get to that state of affairs but I could well be wrong. Cheers TFS and I love that student/teacher saying! Great post! I agree with one of the comments above, you shouldn’t regret what you did, just think of it as a lesson learnt. To be fair, the availability of certain things would have been very different between your parents 20s/30s and your 20s/30s. The ease of credit being a biggie here. Your parents will have had the FIRE concept in them from the get go, as credit wasn’t so easy to get, so they saved. An easy craft to master when when there is no alternative. Thanks HTSC and you could be right about the credit not being easy to get. In their 20s/30s, there would have been only two credit cards available in the UK for my parents and I’m fairly certain they had neither of them! Also, as consumers back then, there was less choice, less ‘in your face’ advertising so perhaps they weren’t so tempted. 42 is an amazing age to retire at. I get the impression from your post that they don’t live in the UK? Has living abroad helped them to retire earlier than if they lived in the UK? I’m asking because spending time abroad and doing a bit slow travel is something we are definitely considering once we reach FI. My parents lived and worked in the UK, only returning to Hong Kong when they retired, so in answer to your question, it was actually living in the UK which enabled them to retire early! In the early days of their retirement, they split the time 50/50 between the two but one day, I got a call from my Mum saying that they were going to stay in HK permanently. This was the first ‘kick up the backside’ for me to get out of debt and sort out my own finances as it meant that I had to save up to travel to HK at least once or twice a year if I wanted to see them! It sounds like your parents set a really good example. Your post is a reminder that if we want it badly enough, we can achieve our dreams. But it doesn’t happen on its own or by accident. We have to make it happen! Good post! Thanks Kayla and you’re right, I do badly want to achieve my goal so will be working hard to make it happen! Have I ‘FIRED’ to early ? Firstly, congrats on reaching FIRE, a fantastic achievement! Can understand the concern with the current stock market volatility but if your are considering working part-time, then perhaps that income will help reduce the need to sell investments while the price is low. Other things to take into account might be any cash savings buffer you may have, how much passive income (if any) you receive which covers your expenses without you having to sell and of course, your living expenses. If it was my living expenses, then what you have is more than enough! Sounds like you got your sums right to be able to be able to pull the job. Interesting to see it from a grown child’s perspective! I thought FIRE was just a really new concept but I never thought there would be already grown kids to share their parent’s FI story. Very cool! I think we used to call it people of independent means in the olden days. Ms ZiYou recently posted…Do you earn more than your parents? Wow! Great post! Life is not just about working. What if we would have started sooner on this quest? Inspiring post and it sums up what life is about! Yolo! Do things you love. One can do anything but not everything. Good luck on your pursuit of FIRE! I’ll keep following you! Thanks for reading. I’m not sure I could have started earlier because I didn’t have the right mentality or frame of mind so I guess I started at the right time, for me! Good luck with your FIRE journey! Love this post, it’s so cool to hear your story of your parents from a different generation achieving FIRE despite the fact that they wouldn’t have had access to the wonderful FIRE community online back then. Do you think your Mum might have had her own blog and written about early retirement if she’d have been in this generation? It must be so great for you to have “in person” proof that retiring early is entirely possible, and importantly sustainable. I know you probably mention this elsewhere on your site, but I forget, what’s your projected FIRE date? I’m the same age as your Mum was when she retired (42) but sadly nowhere near financial independence yet. I’m hoping to be fully retired by 50, but semi retired before then with help from my side hustle ventures! Whilst my mum has embraced social media now, I’m not sure she would have blogged about it! When I started this blog, my original target was to just retire before 60. However, I now have a stretch target to retire at 55 or 56 (depending on ‘one more year’ syndrome) so target date of 2025. I’ll probably know with a bit more certainty after another couple of years of saving/investing to see what my number is looking like. That’s only seven years to go….best pull my socks up!